IAIA is pleased to announce the appointment of Dr. Thomas Fischer as the new Editor of Impact Assessment and Project Appraisal (IAPA). Thomas will begin his term as editor at the start of May. We extend our sincere thanks to the current editor, Dr. Riki Therivel, for her service and dedication to IAIA. 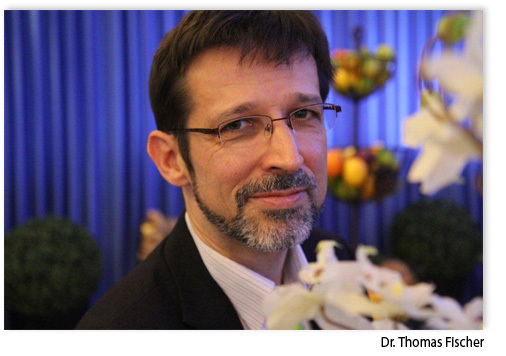 Thomas is a Professor and Director of the Environmental Assessment and Management Research Centre at the University of Liverpool, UK. 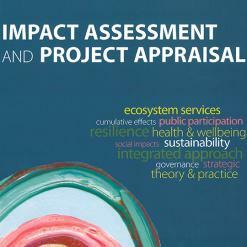 He has worked on impact assessment for over 25 years in practice, consultancy, research, and higher education. He has a wide range of editing experience, including serving as editor-in-chief of the Journal of Environmental Assessment Policy and Management from 2009 to 2016. Thomas is looking forward to being editor of IAPA, which he considers the main international platform for communicating and discussing professional knowledge and research findings and questions of different IA communities. He would like to build on the excellent work of the previous editors and keep driving quality and wider impact of the journal. In this context, he is particularly keen on special issues on emerging and cutting-edge topics and is happy to discuss any suggestions you may have. Thomas can be reached directly at fischer@liverpool.ac.uk. Please join us in congratulating Thomas on his new role. We are very fortunate to have his leadership at the helm of our journal.